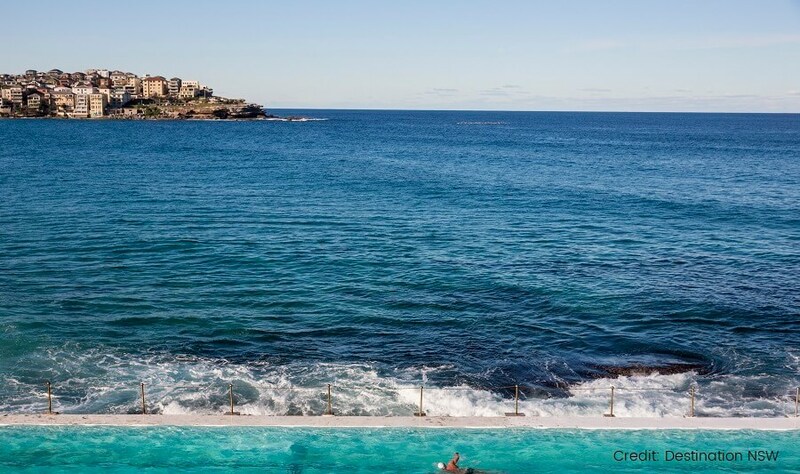 Join our Sydney Day Tour as we visit many of the city’s landmarks such as Bondi Beach and The Rocks, with the guidance of our expert driver/guide. Sydney is a modern city with urban redevelopment, however, The Rocks provides tourists with the opportunity to experience houses and public landmarks which are still in operation from the early 1800s. 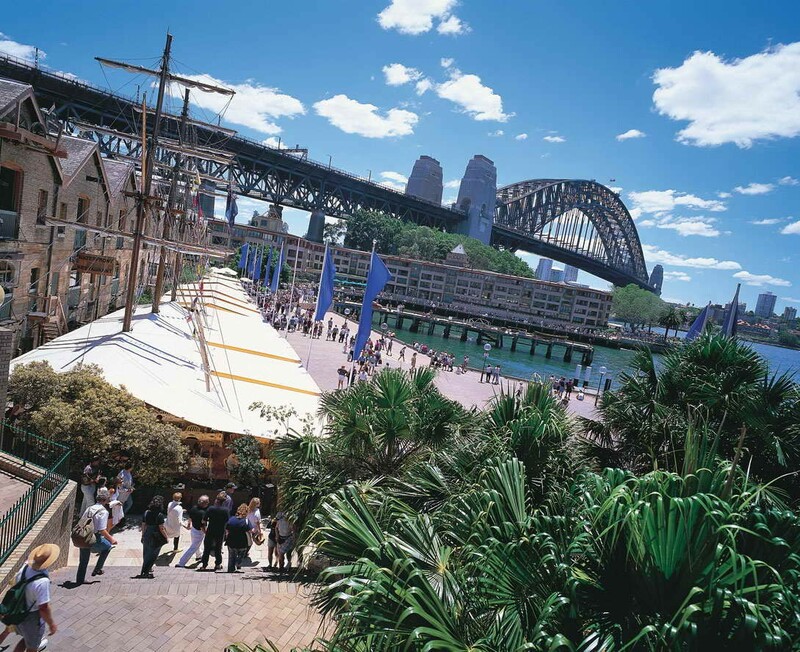 The Rocks is well known for the markets, cafes, boutique shops and stunning views of the Harbour Bridge. The area was originally populated by Indigenous Australian’s prior to European Settlement. Concluding our visit to The Rocks, where we learn the history of the area, the tour continues onwards to Mrs. Macquarie’s Chair. Mrs Macquarie, whom the chair is named after, was the wife of a former New South Wales Governor. The chair provides spectacular views of the Sydney Opera House. The Opera House is unique in its architecture and is used today as a world-class performing arts venue. If you are keen on capturing immaculate views of the coastline, The Gap is the ideal landmark to visit. 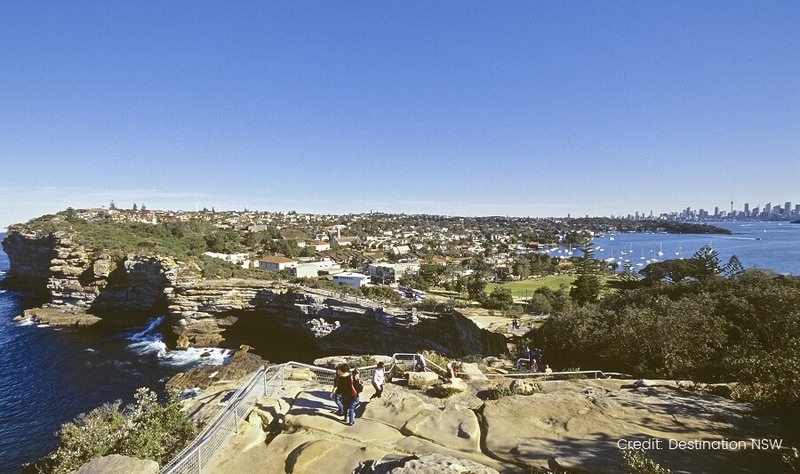 Join us, as we explore this beautiful ocean cliff along the coastline of Sydney. 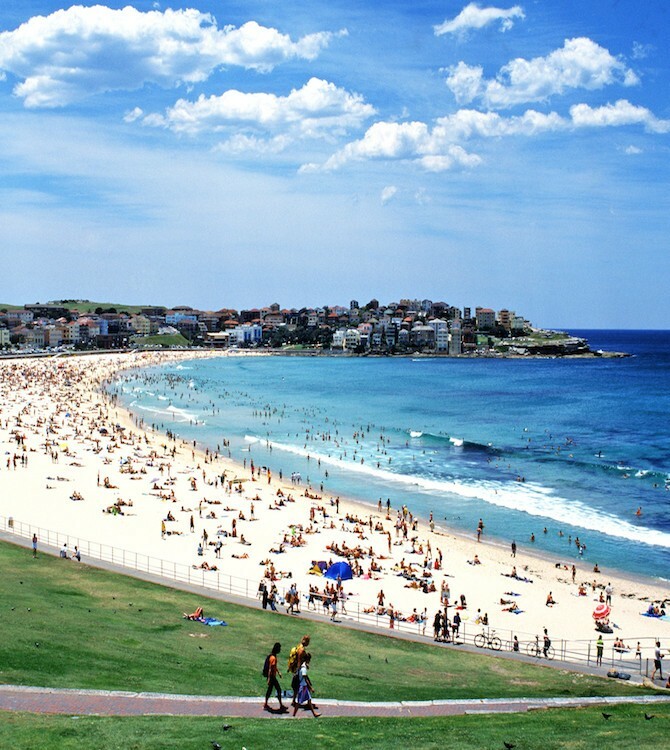 The city of Sydney is well known for the breathtaking beaches on offer. Our final stop of our Sydney Day Tour is to the world-famous Bondi Beach. 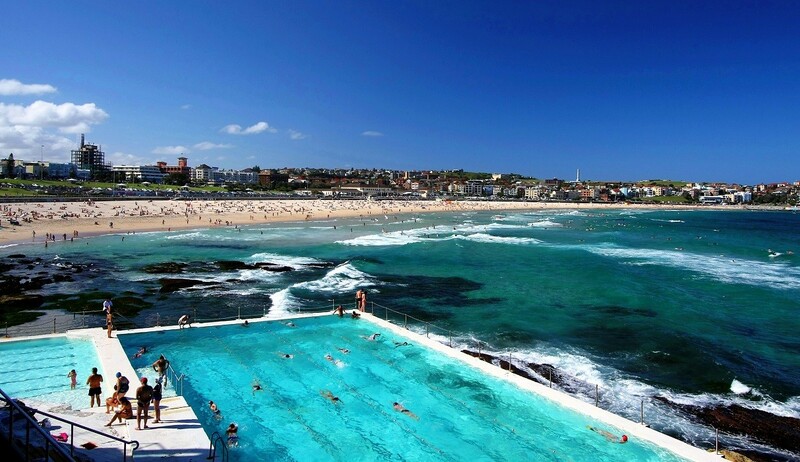 The waters of Bondi are cool, calm and refreshing which typifies the Australian way of living. 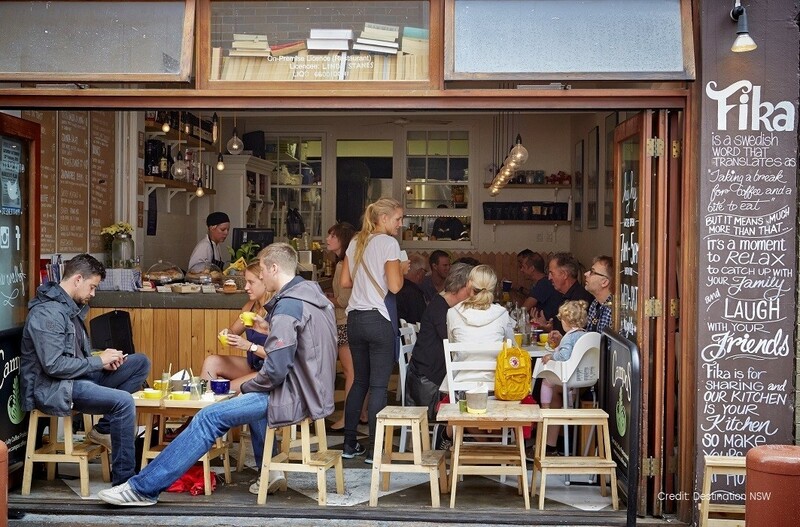 During your visit to Bondi, relax by dipping your feet in the coastal waters, or enjoy lunch (at your own expense) of one of the many cafes and restaurants in the area. 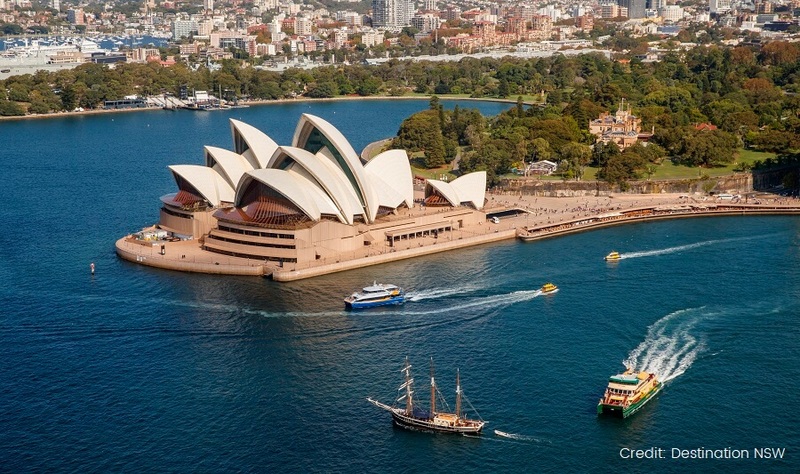 If you are eager on visiting some of Sydney’s famous landmarks, the Sydney Day Tour is ideal for you. 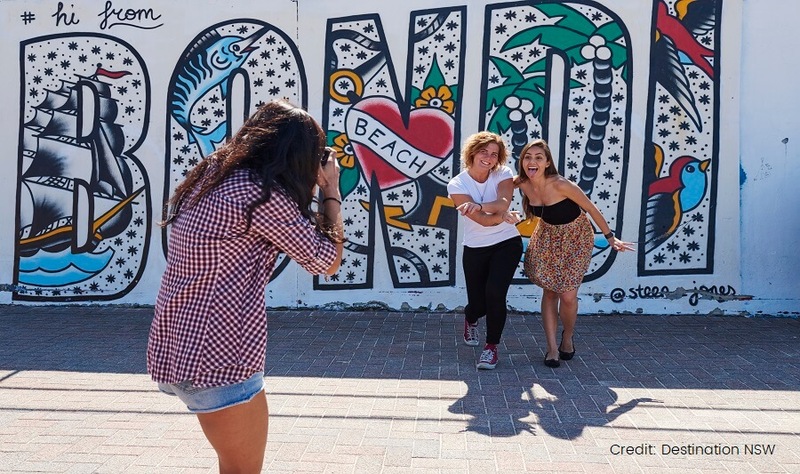 Join in the fun and capture lifelong memories of one of the most liveable cities in the world.